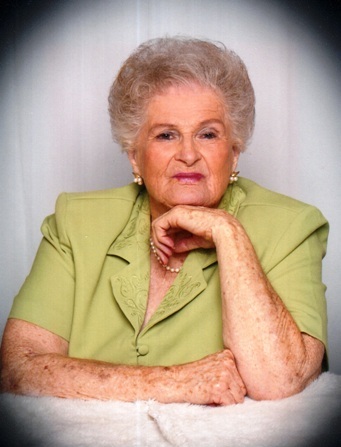 Funeral services for Zelma Harris Stephenson, 88, of West Monroe, LA were held at 1:00 PM, Wednesday, November 28, 2018 at Brown-Holley Funeral Chapel, Rayville, LA with Bro. Luther Sanson officiating. Interment followed in the Coax Cemetery, Baskin, LA. Mrs. Zelma was born August 23, 1930 in Bonita, LA and passed away Friday, November 23, 2018 in West Monroe, LA. Mrs. Zelma is preceded in death by her husband, Wilton Stephenson of 38 years; parents, Charlie and Dollie Harris; and her sisters, Mary Lee Hux and Faye Hux. Survivors include her children, Dixie Martin and husband, Marty of Kemah, TX, Skip Stephenson and wife, Lynn of Santee, CA, Susan Bennett and husband, Hugh of West Monroe, and Scoot Stephenson and wife, Sharon of Cleberne, TX; 13-grandchildren and 20-great grandchildren; sisters, Patsy Mason and husband, Ken of TN, and Charlene Towers and husband, Clyde of Rayville; brothers, Charlie Harris and wife, Lyndia of West Monroe and Victor Harris of IL; and numerous nieces and nephews. Pallbearers were Kerry Martin, Stephen Martin, Lance Martin, Troy Martin, Jeffrey Stephenson, and Matthew Stephenson. Honorary pallbearer was Brad Martin.